'President Trump is very adamant that we have to start making sure that Iran is falling in line with international order,' Haley said. United Nations: US President Donald Trump plans to lead a meeting of the heads of state of the United Nations Security Council on Iran in late September, his envoy Nikki Haley announced Tuesday. 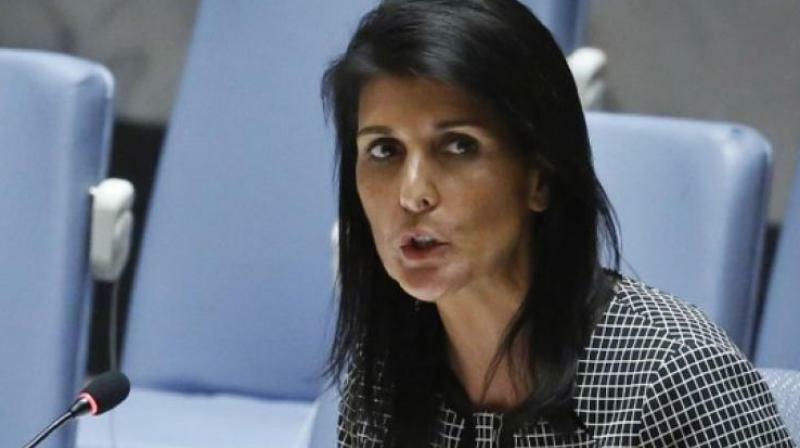 Haley denied the United States was seeking regime change in Iran, saying the US effort is aimed at supporting the desires of the "Iranian people." But Russia's deputy ambassador to the UN Dmitry Polyanskiy pushed back, emphasizing that any meeting on Iran should also discuss the consequences of the US withdrawal from the deal.